Water ionizers are appliances that are attached to kitchen faucets and used to treat regular tap water with minerals and an electrical current in order to produce ionized water. Ionized water is alkaline, or low pH, water containing large amounts of electrically charged hydroxyl ions as well as free electrons. 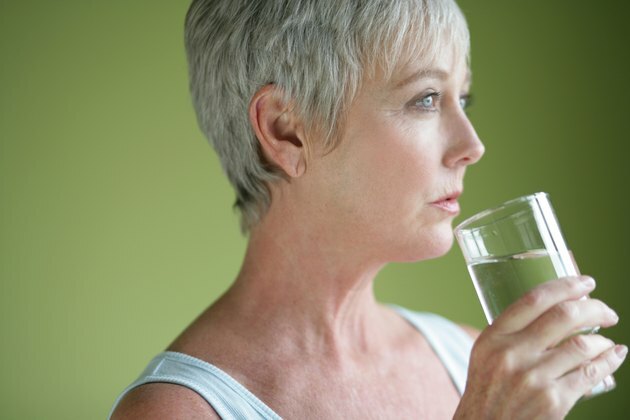 According to proponents, drinking ionized water exclusively can positively benefit your health in a variety of ways, and these supporters strongly advocate purchasing water ionizers. However, remember that none of the health claims in support of ionized water has been scientifically proved. In fact, the Los Angeles Times reports that some scientists regard the claims surrounding ionized water as "ridiculous." The most commonly cited benefit of water ionizers and drinking ionized water is the anti-cancer benefit the water is thought to deliver to the body. According to many water ionizer proponents and retailers, ionized water has strong antioxidant properties. An antioxidant is a compound that is believed to prevent free radical damage to cells and their DNA by neutralizing and eliminating these free radicals and keeping them from causing the cellular disruptions that can lead to cancer. According to Ion Life, the hydroxyl ions in ionized water can neutralize free radicals in the same way that other, acknowledged antioxidants like Vitamin A and C can. And, as Watershed points out, once the hydroxyl ion gets rid of these free radicals with its extra electrons, the result is an oxygen molecule, an essential element for proper body functions. Alkaline Water Plus reports recent research has indicated that heart disease--as well as the overall health of the veins and arteries in the entire cardiovascular system--is strongly correlated with oxidative damage: in other words, the free radicals produced by normal oxygen metabolism can cause damage to various parts of the cardiovascular system, making heart disease more likely. Since water ionizers produce water that is believed by many to act as a preventative measure against free radical damage, supporters advocate their use for this reason as well. Water ionizers are also thought to produce water that is much more beneficial to skin than regular tap water if you use it regularly to wash with. Ionized water is said to confer its antioxidant effects to skin, causing it to appear younger and to remove fine wrinkles, as well as decreasing the amount of skin bacteria present so that acne breakouts are less common. Watershed reports that ionized water acts as strong detoxifying agent; this is thought to benefit both the internal organs as well as the appearance and health of the skin. Ionized water is said to taste better and smoother than regular tap--or even filtered--water. It is also thought to hydrate food better than water that is not ionized, and this hydration may enhance the flavor of all foods that are cooked with it.